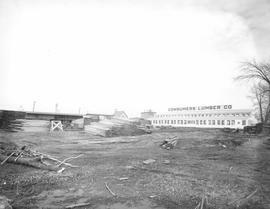 Item is a photograph of the 400 Parkdale Avenue North site of Consumers' Lumber Company in 1948. 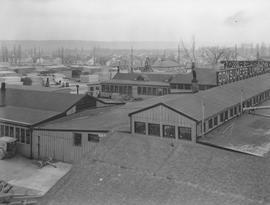 Item is a photograph of the milling facility on the Parkdale Avenue North site of the Consumers' Lumber Company in 1939. 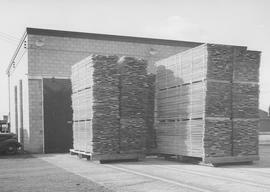 Item is a photograph of lumber stacked at the Consumers' Lumber Company's 400 Parkdale Avenue North site in 1952. 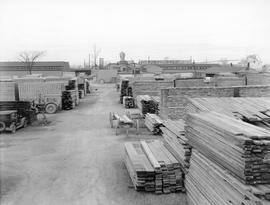 Item is a photograph of the lumber stacks at the 400 Parkdale Avenue North site of Consumers' Lumber Company in 1948. 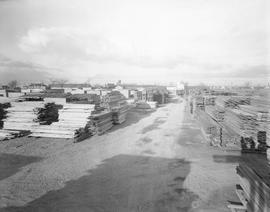 Item is a photograph of lumber stacks at the 400 Parkdale Avenue North site in 1948.